Richard Mora, CEO “The great invention of the nineteenth century was the method of invention.” This adage by the British philosopher Alfred North Whitehead aptly highlights the history and evolution of electricity meters over the years. In the 1st half of the 19th century, the world embraced some significant discoveries in electromagnetism. French André- Marie Ampère discovered the electrodynamic interaction between currents in 1820. Seven years later, the German Georg Simon Ohm discovered the relationship between voltage and current in a conductor. This was followed by the discovery of the law of induction in 1831 by Michael Faraday, which subsequently became the foundation stone for the evolution of generators, transformers, and motors. Owing to the radical inventions and developments, a perfect base was established for the practical use of these market developments, which were followed, by inventions and patents by several tech-savvy individuals. In quick succession, the world had a transformer, meter, and turbine. At that period, several incumbent companies emerged committed to meet the societal goals of increased efficiency and affordability. The evolution of business firms presented a story of individuals acting together and seeks market opportunities that can enable them to thrive. Moreover, in the early part of the 20th century, demands for local grids worldwide grew radically, and many individuals saw this market challenge as an opportunity to generate revenues through taking leadership roles. As the investment in local grids was increasing rapidly, Richard Theiler formed Electrotechnisches Institute Theiler on September 11th, 1905, which was later renamed as Landis+Gyr, after Heinrich Landis and Karl Heinrich Gyr who served as managers in the previous firm. The firm was formed to assist utilities around the world to improve energy efficiency and reduce energy costs along with the vision of meeting the energy challenges of today and tomorrow. Today, the firm offers one of the broadest portfolios of products and services to address complex utility challenges. The firm provides a myriad of metering products, systems, and services for electricity, heat, and gas for energy utilities around the world. As the turn of the century has advanced technology to a stage where many of the energy challenges have been met, Landis+Gyr also evolved to deliver comprehensive solutions for the foundation of a smarter grid, including smart metering, distribution network sensing and automation tools, load control, analytics, and energy storage. Often, in the utility market, extending the life of existing assets becomes one of the paramount concerns of the digital world. Add to this, the burgeoning need to keep cost low and to meet the requirements of digitally engaged customers, energy, and utility industry have always been challenged by the changes brought through deregulation, globalization, restructuring, and lately, the new stringent environmental policies. 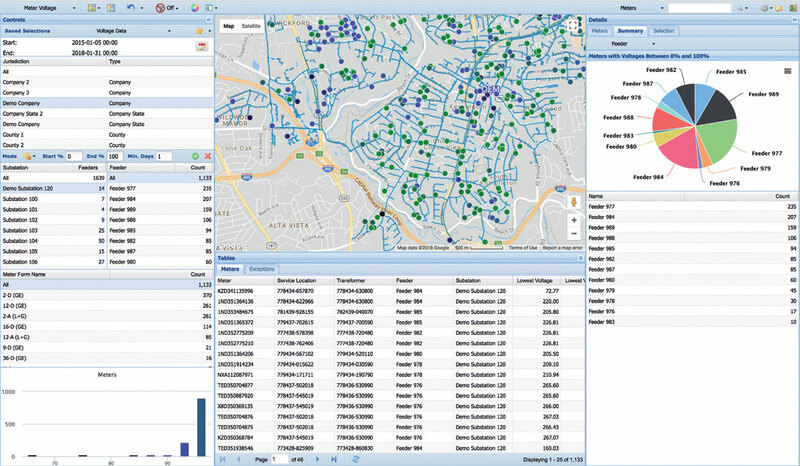 With the analytics-powered approach, Landis+Gyr are assisting utilities to manage assets in a way that can improve customer satisfaction, and increase the reliability of transmission and distribution networks. The firm offers a comprehensive suite of smart grid solutions to meet the utilities need in today’s digital world and aid enterprises in executing their asset management strategies. Starting with load management and DER integration, to advanced sensors and analytics, the firm assists its clients in each phase of digital transformation and aids them to modernize their infrastructure with smart grid solutions. The firm also offers S610 line sensors that enable utility companies to automate asset management and connects the existing grid with Landis+Gyr network. The sensor allows users to interact, understand voltage fluctuations in real-time data, and immediately act to eradicate any issues. The firm also renders Advanced Grid Analytics platform that increases the reliability of existing assets and reduces the increase in operational expenditure. Through leveraging data from AMI and distribution sensors from the existing environment, the platform integrates seamlessly with the current environment to render unique planning capabilities and real-time optimization methods to the utility companies. Next, the firm also enables utilities to leverage asset management benefits from their AMI network through gathering data from grid-edge sensors and subsequently using them to detect outages faster, predict outages, plan optimal reliability investment projects, and better manage the impact of renew-able assets. The most noteworthy thing about the digital distribution automation solution is that it eradicates the need to send out a technician for making manual adjustments, which subsequently reduces the operating costs and enables companies to render more optimal solutions to the end users. "Landis+Gyr offers a myriad of metering products, systems, and services for electricity, heat, and gas for energy utilities around the world"
Currently, the firm has its footprint in over 30 countries across five continents and employs more than 6000 people with the sole mission of transforming the way energy is managed and distributed. Starting from project delivery to system support, the firm’s operation team is committed to delivering the optimal functionality of the utility systems every time. The firm’s smart Grid Operations services offerings include Gridstream Audit and Optimization, Remote Gridstream Operations, Gridstream Maintenance, Gridstream Field Services, and Project Delivery Services. One of the most different factors of the firm is that is that it always strives to comprehend the cutting-edge developments in smart grid initiatives and subsequently works to develops the most effective and pertinent solution to boost asset health, maximize ROI, and build a future-ready smart grid. The firm keeps an eye on the emerging technologies to continually upgrade its existing offerings and be “Future Ready.” This has enabled the firm to attain some quintessential growth Landis+Gyr by delivering solutions that could match the needs of today’s evolving customer. Today, almost every business directly or indirectly depends on power. However, the unexpected power outage affects the profitability of the business, and in many cases, companies end up losing millions of dollars. Many times the unexpected outages can lead business to a situation, which may get difficult to recover. To this end, Landis+Gyr offers all the proprietary tools such as load control switches, distribution automation (DA) sensors, and other advanced solutions that work seamlessly to negate outages and can enhance grid’s reliability. This comprehensive suite of cutting-edge products enables organizations to focus more on their core objectives without worrying much about power outages. The firm also provides real-time data and advanced metrics to allow utilities to streamline execution, render useful results, and improve the experience of its customers. Adding to this, the firm also analyzes data to tailor an action plan for power outages that allows its clients to act immediately in those situations. During its journey of more than a century, the firm assisted many organizations in several domains to overcome the increasing challenges of the utility industry. In one instance, United Cooperative Services (UCS), an electrical distribution utility offering reliable, cost-effective power to rural homes and companies in North Central Texas was looking for a solution that could enable its personnel to make smart and cost-effective usage choices. However, to educate and engage consumers, UCS needed usage data that was rich, timely, and precise. 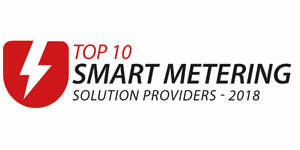 Luckily, the firm already had the right tools in place with Landis+Gyr smart meters and Gridstream PLC technology. Through interfacing at each home or office, Gridstream PLC was able to continuously stream data values such as examining the increasing demand or fluctuations in voltage. As a result, members had a comprehensive view of the usage patterns of each user, which allowed them to analyze the factors affecting the change. With the AMI system, UCS was able to directly communicate with home area networks such as programmable communicating thermostats and in-home displays that can display the electric consumption in real-time. Over the years, the firm has witnessed some excellent growth and played a pivotal in the transmission, distribution, and management of energy meters. The firm continually implements the front-end technologies of the market to continually add more value to the energy industry and society as a whole. Lately, the firm is showing interest in IoT and believes the emerging technology holds immense potential to bring radical advancement in the utility sector. The firm intends to leverage the potential of connected devices to bring forth unique benefits for utilities and aid them in improved asset management, reduction of supply chain risks, real-time decision-making, and reduced operating costs.